A new study has revealed a surprising truth about early humans. 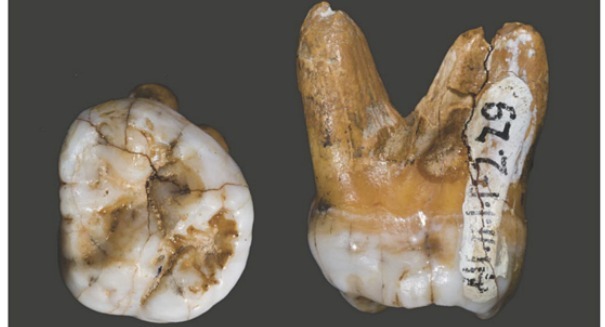 A new study has found that humans had glass jaws, far weaker than the jaws we have today. Scientists had believed that Australopithecus sediba, a species of early man, lived on a diet of hard foods as well as bark and leaves, but a new study indicates that they would have cracked their jaws trying to eat seeds and nuts, according to a Daily Mail report. Researchers ran a few computer models and found that their jaws weren’t built to handle hard food, meaning they will have to rethink the diet and lifestyle of his ancient ancestor dating back 2 million years. Australopithecus sediba lived in southern African and is considered a likely ancestor of us. It walked on two legs but it didn’t have a large brain or a flat face like we have. It also couldn’t use tools, a main reason why scientists have some doubts over its connection to us. And you can add a glass jaw to its differences to us, thanks to this latest study by researchers from Australia and the United States. The findings were based on models of a fossilized skull found in Malapa cave near Johannesburg in South Africa in 2008. They used biomechanical testing on a computer model to examine a few scenarios. Dr. Justin Ledogar, a researcher at the University of New England in Australia, said the findings indicate that “If it had bitten as hard as possible on its molar teeth using the full force of its chewing muscles, it would have dislocated its jaw,” he said according to the report.